Distinguishing features: evolved craftsmanship and design. 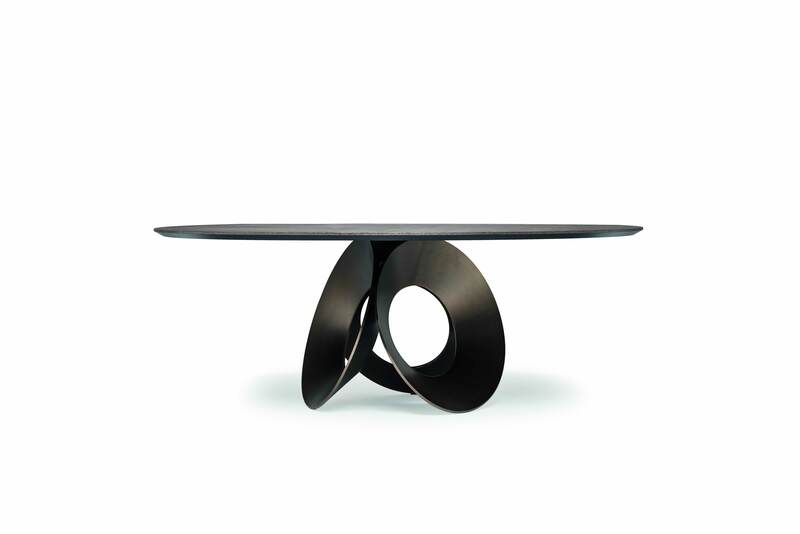 The Oracle dining table by Gino Carollo is the expression of the circular geometric shape, symbol of perfection. 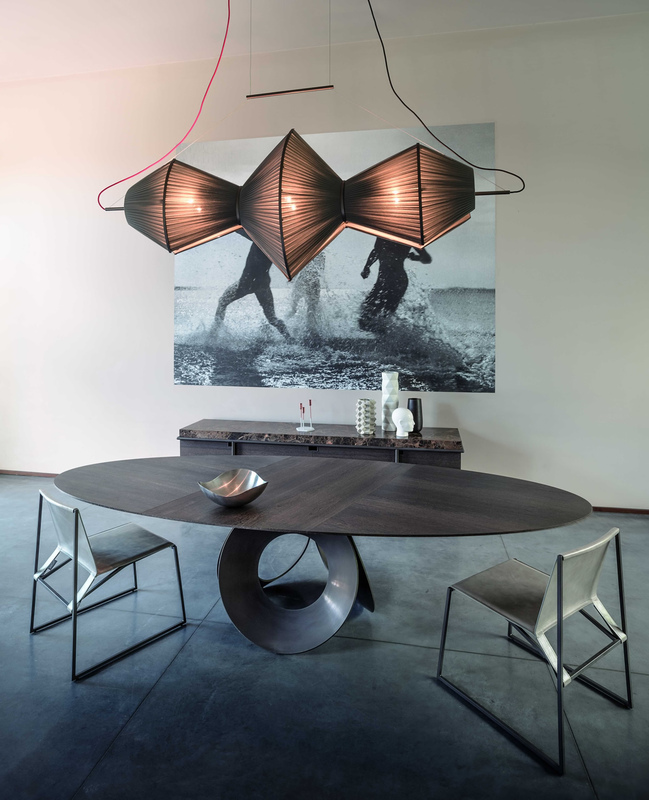 A furniture piece whose shape expresses totality and centrality. 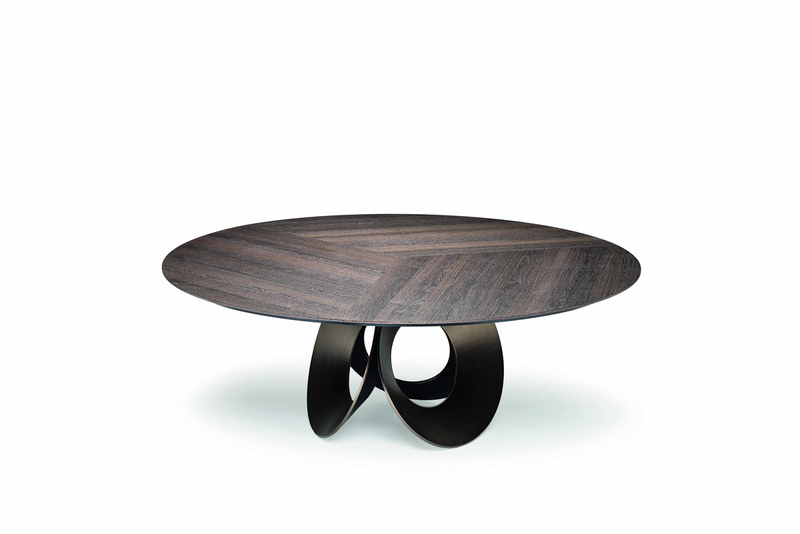 The circular or oval-shaped top is made from MDF veneered in Moka Oak or Sucupira. A 200 cm diameter table is also available with an Emperador marble top. Its unique base resembles the construction of the flower of life: three overlapping circles that appear to pivot around a single point. The metal base is available in micaceous brown, brass, titanium or in the new oxy grey finish. In the round Emperador marble top version, a rotating Lazy Susan tray is inserted integrating perfectly with the table.